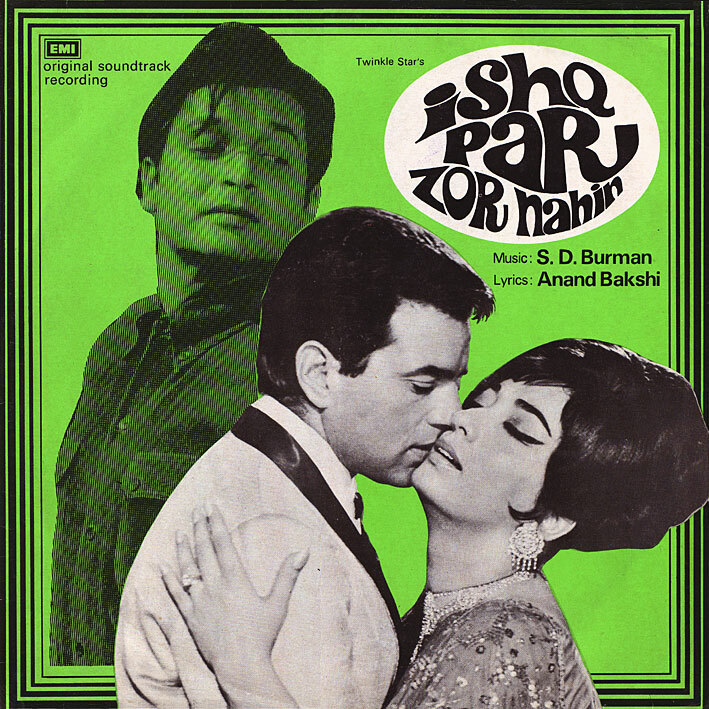 More of the same... 'Ishq Par Zor Nahin' is another S.D. Burman score where credit is due his son (and to be honest, those are my favourite of his). 'Pyar Bhari Ik Baat Chalo' is a typical Pancham track, sounding like 10 different songs in one, and that's just the intro. Asha Bhosle sighs her way in about midway... top stuff! (But why are my favourite tracks from these films never on YouTube?!?) The rest is more subdued... melodious, pleasant; 'Main To Tere Rang Rati' is particulary good with its laid back vibe and the almost bluesy sitar riff, so is the haunting 'Tum Mujhse Dur Chale Jana Na'. A great feel throughout on this one. Great to see this blog back. Managed to get the files to work, thanks for the advice from an earlier comment. Thought I was going to miss the latest posts. On the Divshare page, just copy & paste the "link" on the right. Hope everyone is able to get these now. Da Da Da Dah !!! then I will turn to Sharab(ee). Papagaaak, what to do!, what to do! with this baadmaas "DDD" ????? Oh, one more thing, about commenting here: I reckon the less mention is made of DL issues, which hosts I'm using, where the real URL's are located, which albums have been re-up'ed etc., the better. I'm sure whoever's sabotaging us isn't stupid; it's all easy to figure out and they'll do so - but let's not make things any easier for them :-). Thanks so much for all your albums :). Are there any more SDB albums that you will be posting ?. A small handful more, yes. Looking forward to those SDB albums :). Keep up the excellent work ! !